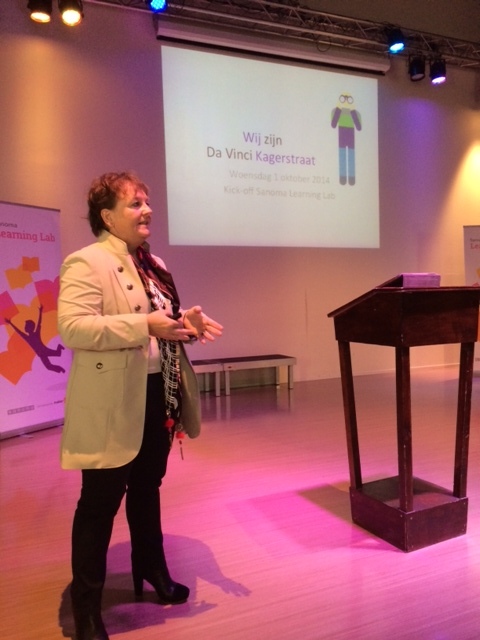 Today we kicked-off of the Learning Lab at the Da Vinci College in Leiden, The Netherlands. I was super-excited about this for both professional and personal reasons. I’m passionate about our goal to improve learning as we transform to a more personalized future. 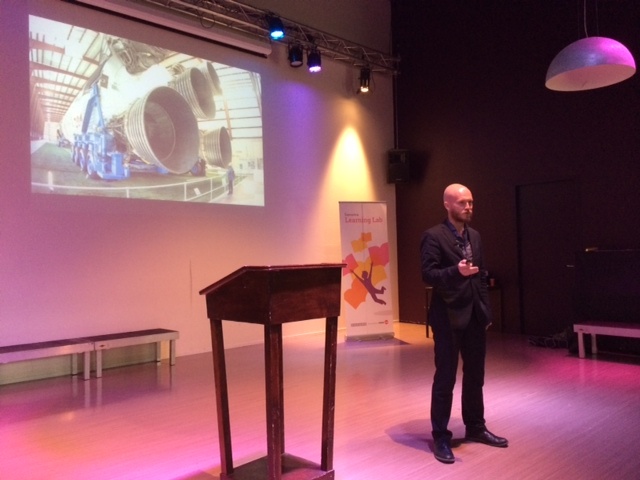 I like and respect the forward-looking Da Vinci College in my home-town – the “education city” of Leiden. And this is a great collaboration between Learning and Digital at Sanoma, the teams to which I have committed my professional life in recent years. We started with some inspiring introductions from the school, Sanoma and facilitator MakerLab. One of the absolute highlights of the day for me was the introduction and welcome to Da Vinci College Kagerstraat by Rector Annick Dezitter. I’d met her before on a visit to the school when we had discussed the personalization of learning. In her introduction, she talked openly and passionately about the future and had a very engaging personal style. I imagine she is an inspiring Rector! She is originally from Belgium and the two Belgians in our Learning Lab team (Johan Merlevede, Chief Transformation Officer in Sanoma Learning’s Leadership Team – the overall sponsor of the Learning Lab, and Joris van Heukelom, Partner at MakerStreet) both proudly reminded me that they are Belgian too, after her speech :-). I very much appreciated her warm welcome and inspiring words. Another highlight was from my former colleague and founder of Sanoma Lab, Lassi Kurkijarvi. He was my first hire at Sanoma Digital and is a mobile native with a can-do mentality and a big heart. 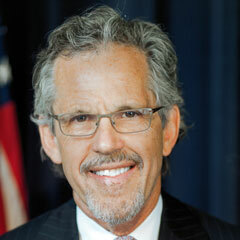 I love working with that guy and have learned a lot from him about engaging people. I really liked to see how the style and content of his session had deepened and progressed from our very first accelerator a couple of years ago (it was already good then). I love to see people grow like that! Next, each of the 30 participants pitched their ideas and 10 were chosen to lead teams to develop their concept in the next stage. Seven were selected by the crowd and three through wildcards. It was really fast-paced and exciting! It was great to hear the ideas and to get a sense of the person behind the idea during the pitch. I was very happy with the selection of people and ideas. 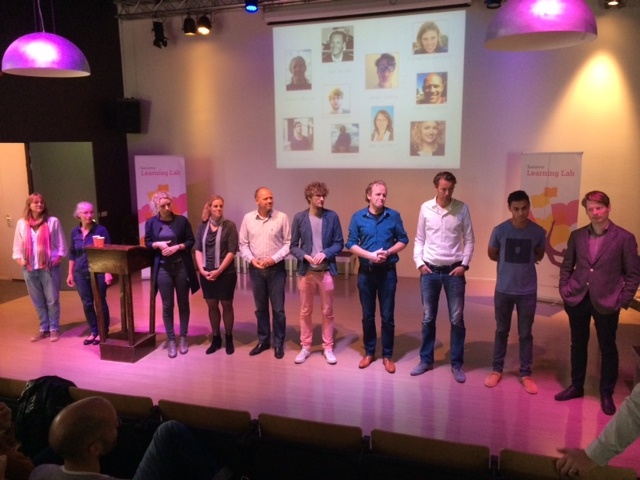 The 10 team leaders include four teachers, three Sanoma employees and three external “open” applicants. A great mix of talent! After lunch the real work began with the first workshop. The teams were formed and the first steps were taken. I’m curious where this will lead us. The spirit and energy were good. This entry was posted in Accelerator, Digital, Edtech, Education, Innovation, Learning, Leiden, Malmberg, Sanoma, Sanoma Learning, School, Teacher and tagged Da Vinci, Education, Innovation, Learning, Learning Impact, Learning Lab, Leiden, Personalised Learning, Sanoma, Sanoma Lab, Sanoma Learning, The Netherlands on 01/10/2014 by johnrichardmartin. This week I have returned to Sanoma Learning as CEO, succeeding Jacques Eijkens who established and has led the development of the company during the last eight years. Great job Jacques! It’s an honour to be given this opportunity. I have a big respect for the teams and what they have achieved so far and believe I can bring digital and innovation experience that can help us on the journey to the next era. Stakeholders rightly want to renew education: they have new and higher demands on outcomes, personalisation and ways of working in particular. We’re at the dawn of a new age for education – and technology will be a key enabler of the transformation. Today, Sanoma Learning is a successful provider of educational resources and has excellent customer focus, skilled people, strong brands and good financial health. Yet today’s strength does not guarantee tomorrow’s success. I believe that by supporting pupils and teachers with digital personalised-learning solutions, Sanoma Learning can have a major positive impact on the transformation of education. We are well-positioned as we continue on the journey to the digital future, but our success will be determined by how markets for learning solutions evolve and how effectively we manage the digital transformation. Our main priority in the coming years will be to further renew our offering. In our core markets, we will focus on the digital transformation: digitalising courses, adding workflow functionalities and using data to support workflow, guide personalisation and improve learning outcomes. We also have the ambition to build a position in online tutoring, thereby further personalising the learning experience and creating new possibilities for growth. And we intend to build a position in emerging markets, leveraging and increasing the impact of our learning solutions and opening up new revenue streams. At this moment in time, we are making good progress in our core markets and are at the early stage of developing new home-grown ventures in online tutoring and emerging markets. Today is my first day in the new role and I will start by visiting the units to engage with the teams – I’m enthusiastic about getting to know the people and to understand the opportunities and plans for the future. I will be keen to support and accelerate the development agenda and for Sanoma Learning to play a pivotal role in the transformation of education. I’m really looking forward to working with the teams on this great opportunity! This entry was posted in Digital, Education, Innovation, Learning, Sanoma, Teaching and tagged Emerging Markets, Learning Outcomes, Learning Solutions, Personalised Learning, Sanoma, Sanoma Learning, Tutoring, Workflow on 03/03/2014 by johnrichardmartin.